12:30 Finish activity, you will get shirt for yourself or you will give to others. 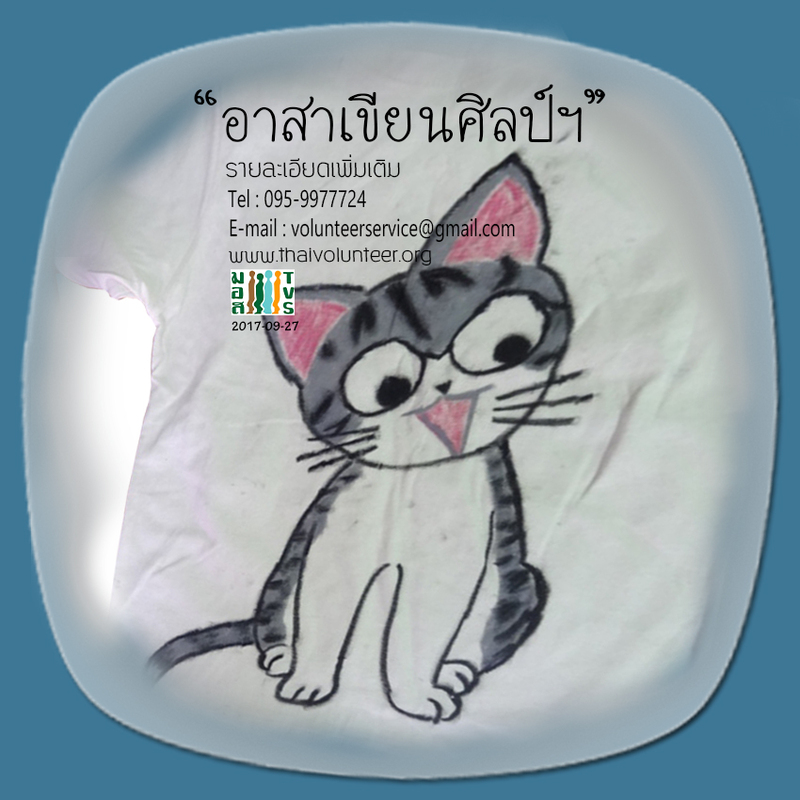 line 136 / 137/ 172/ 185/ 179/ 206/ 514/ 73ก /517) get off Soi Ratchadaphisek 14 opposite the Kunnatee School, walk into Ratchada 14, you will see 7-11 Mart, turn right and walk straight then turn left in front of You Mansion, walking onward for approximately 50 meters ……………………. drive yourself Parking in front of TVS building. There is no charge, but there is so few parking space. If it is full, you need to park at a private parking lot behind the Summer Mansion 1, you need to pay lump sum fee for parking 50 baht/day.